In this post we are going to look at a special feature in Angular2. The feature allows to create templates such that parent components can inject parts into the view of the child component. The child components use the injected part using ng-content. When should we use ng-content? ng-content is specially useful when you have pre-built components which you want to use throughout your application. This are also suitable when a component needs to inject some elements into the display area of another component. 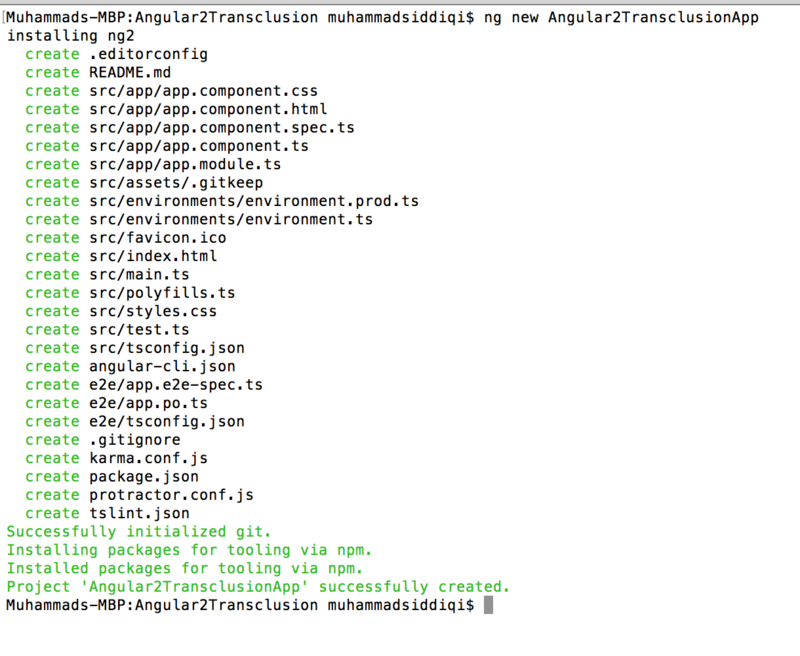 Let’s create a sample application Angular2TransclusionApp using Angular CLI. Now we add another component to the app. Let’s call it MyCardComponent. Let’s run it using ng serve. This is certainly an amazing display of my craft. We can also use multiple ng-content (s) within the same component. Let’s create a new component. The component template has multiple ng-content (s). We use select to pick the relevant content. This also supports CSS classes by using DOT (.) notation. Here we are using the component in the main App component. You can see that we are using the names for two contents while the third component is specified using CSS class.